Amazon.com, Inc. (NASDAQ:AMZN) is working on a plan to enhance its Silicon Valley-based hardware unit, Lab126, by 27% within the next 5 years. At the same time, the online retailer is testing its smart home devices in the same lab. Lab126 is the unit that developed Kindle and several other consumer electronics. The company is testing internet-connected gadgets such as its one button device that enables users to place orders by just clicking the button. Amazon.com, Inc. (NASDAQ:AMZN) will be focusing on increasing the number of staff members in the lab. Sources indicate that the company intends to have not less than 3,757 full-time payroll employees by 2019. This is targeted towards meeting a June pact between the company and the State of California. 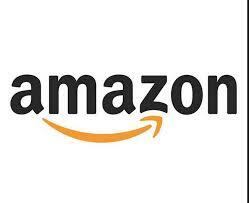 By meeting the terms of the agreement, Amazon.com, Inc. will be entitled to $1.2 million in tax breaks. The company is also set to double its hardware projects by developing new devices for its market; this is according to a government document as revealed by those who read its content. Amazon.com, Inc. (NASDAQ:AMZN) Chief Executive Officer Jeff Bezos is still keen on pumping more resources in the development of hardware gadgets even as Fire Smartphone was received poorly by users. The Fire phone was released in July this year. Several investors have taken issue with Amazon.com, Inc.’s spending, saying that the company is directing funds on experimental projects rather than developing on its existing and well received projects. The gadgets that Amazon.com, Inc. (NASDAQ:AMZN) is currently testing at Lab126 could put it in a proper competition war against U.S. technology companies, Google Inc. and Apple Inc., which are also known to be making serious forays into the “smart” home device production. According to the said agreement with the State of California, Amazon.com, Inc. (NASDAQ:AMZN) will spend $55 million in Lab126’s activities in both Sunnyvale and Cupertino. This article has been written by Vitor Ochieng.